This educational poster of Madam C.J. 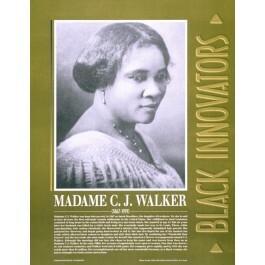 Walker features a historic black and white photo of this great African American innovator and businessperson, along with a concise biography. Madam C.J. 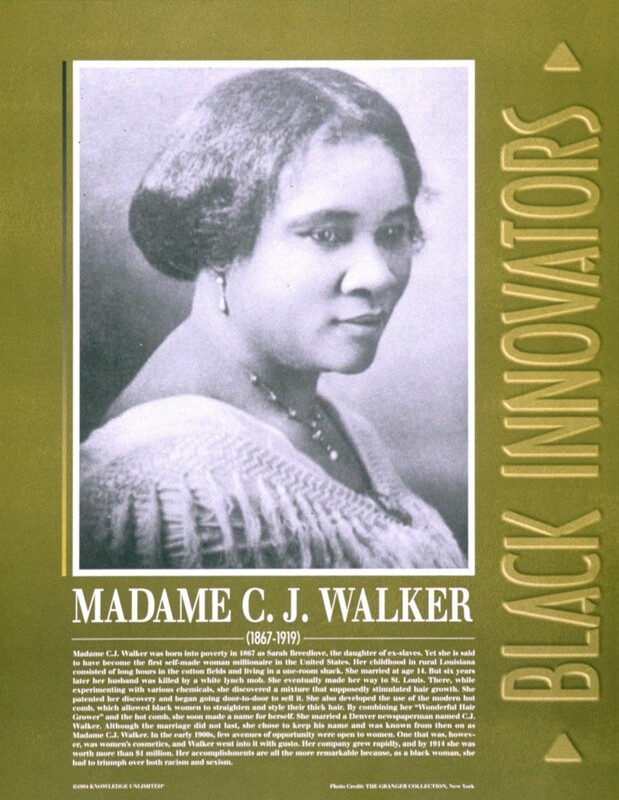 Walker was the daughter of ex-slaves. Though she was born into poverty, she became a leading black businessperson and the richest black woman of her time with her innovative line of hair products and other cosmetics.